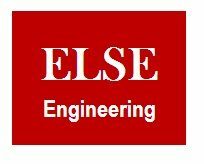 What does self-regulation mean in an electrical system? In AC power systems, given the insignificant electrical storage, the electrical generation and load must be balance at all times. To some extent, the electrical system is self-regulating. The voltage and frequency drop if generation is less than load, and thereby the load goes down to equal the generation minus the transmission losses. However, there are a few percent margins for such a self-regulation. If voltage is propped up with reactive power support, then the load will go up, and consequently the frequency will keep dropping, and the system will collapse. Does the room containing generating set need ventilation? Any room or enclosure containing a permanently connected generating set shall be adequately ventilated so that the room or enclosure temperature rise, associated with the running of the generating set, is limited to 10% ºC. What is definition of change over times of generators? An automatic supply that can ensure a continuous supply within specified conditions during the period of transitions, e.g. as regards variations in voltage and frequency. An automatic supply available within 1s. An automatic supply available within 30s. An automatic supply available in more than 30s. How can capacitive loads cause generator voltage instability? A purely capacitive load can cause the generator control system, (AVR), to lose control, creating voltage instability, and possible high voltage from the generator. This is due to the fact that, unlike must loads, which are PF 1 or lagging PF, a leading PF load current will cause the generator excitation voltage to decrease, as the load current increases. Eventually the control system will be unable to control the generator excitation level, and voltage instability will occur. Capacitive load can present a problem for mains failure (stand by) generator. When the main electricity supply fails, all inductive motors are disconnected. Subsequently, when the generator is connected to the system, the load will mainly consist of lighting, and possibly the power factor correction capacitors. In this situation The AC generator will see a very low leading power factor and may become unstable and generate high voltage. In order to prevent this situation, it is advisable to ensure that the power factor correction capacitors are switched off when the generator takes the initial load. Some fluorescent lighting also have leading power factor. Does the reactive power in the network have impact on the voltage stability? The balance in the reactive power of the network will result in stable voltage. Controlling of reactive power helps to control the voltage in the network. A reverse power relay is essential as any engine shutdown, from low oil pressure or temperature etc. will result in other systems motoring the failed set, with consequent overload to the remaining system, and/or damaged to the motorised engine. The kW component is adjusted by purely mechanical means and requires relatively fine speed control of the prime mover (engine). It is adjustable to fit a limited range governor to avoid large adjustments of speed when in parallel. The kVAR component is a function of the AC generator excitation. When machines are in parallel, the magnitude of field excitation will not directly influence the output voltage, (depending upon the relative size of the generator to the bus-bar system) it does, however, adjust the internal power factor at which a particular machine operates. For instance, an over excited AC generator will produce a lagging PF current from that generator. If a difference in excitation exists, then circulating current will follow, limited only by the internal machine reactance. This current will appear as a zero PF loading or lagging current, depending on the machine excitation, and will either subtract or add to the total current that each machine supplies. Reactive current, either loading or lagging, is by virtue of the 90º phase displacement, quite commonly described as being quadrature. The generator must therefore be provided with equipment to sense this reactive current, and limit it to an acceptable level (the quadrature droop current transformer). As guide for load sharing for similar generators, the DC excitation volts should be approximately equal when the generators are correctly sharing reactive and active current. It should be noted that paralleling of all system neutrals can under certain circumstances lead to overheating or possible stator burnouts. This is particularly evident when machines of dissimilar manufacture are paralleled. Differences in generated wave shape may cause large harmonic circulating currents through the neutrals. The neutral of dissimilar machines must, therefore, never be connected. On the other hand neutrals of like machines may be connected. The mains (utility), voltage can vary by as much as ±10%, (or more in some regions). The droop equipment alone would be unable to maintain control of the resultant reactive currents. It is therefore, recommended that a power factor controller be used, when paralleling with the mains. This enables the generator to maintain a constant power factor, when the mains (utility), voltage is stepped up or down by the authorities. What is generator droop/Isoch mode of operation? The unit is not controlling the frequency if its output, the grid is doing that. The unit MUST and WILL adjust its fuel in order to make the frequency of its output equal to the frequency setpoint in response to load changes. What is difference between dynamic excitation and static excitation systems? In a dynamic excitation system the most parts are connected to the rotor, so that the carbonic brushes can be removed. It is sometimes called brushless excitation systems. In static excitation systems, on the other hand, or components are static or stationary. Static rectifier, supplies the excitation current directly to the field of the synchronous generator through sleep rings. The supply of the power to the rectifiers; from the main generator or via the station auxiliary bus, is through a step down transformer. What is the permitted THD at the output of the generator? When tested on open-circuit and at rated speed and voltage, the total harmonic distortion (THD) of the line-to-line terminal voltage shall not exceed 5% (AS 60034.222:2010, section7.5). What is the Harmonic in an electrical system and what devastating effects might it cause for the system? 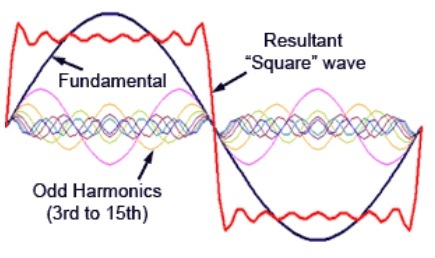 Harmonics are sinusoidal voltages or currents having frequencies that are integer multiples of the frequency at which the supply system is designed to operate, that combine with the fundamental voltage or current, and produce waveform distortion. Harmonic currents and voltages are created by non-linear loads connected on the power distribution system. The effects of harmonics can be overheating of transformers, cables, motors, generators and capacitors connected to the same power supply with the devices generating the harmonics. 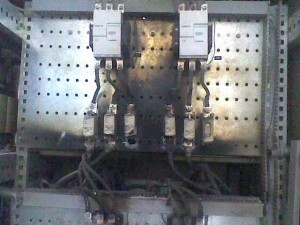 Electronic displays and lighting may flicker, circuit breakers can trip, computers may fail and metering can give false reading. What is the Parallel Resonance and how does it appear? The power-factor-correction capacitors cause a parallel resonance between the capacitors and the system source inductance. In fact parallel resonance occurs when the system inductive reactance and capacitance of capacitor bank are equal at certain frequency. 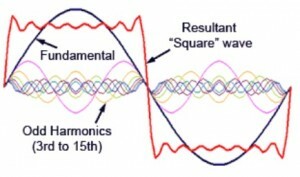 If this frequency is close to one which generated by nonlinear load, so-called the characteristic harmonic, then harmonic current will excite the ‘tank’ circuit, thereby causing an amplified harmonic current resulting in voltage and current distortion. Serious damages can be caused by Parallel Resonance. Is there any restriction to determine the best place for capacitor bank in a network? It is necessary to perform a harmonic distribution study to find the best place in the network to install the load factor correction capacitors. The plant average load shall be considered in order to determine the size of capacitor bank. What is Double Current Injection Method? Double Flow Injection Method is a power flow solution used by some software like SKM Power Tools, to calculate the load flow in the electrical network. In this method software assumes no losses and calculates the current consumptions. Then losses are calculated based on calculated current on each circuit. Voltage drops are calculated based on the losses which results in new voltages on consumer sides. The new voltages are used to calculate the new currents. New currents lead to new losses, new voltage drops and new voltages on consumer sides. This loop will continue till calculated numbers converge to the precise value. There is another method for power flow calculation called Newton-Raphson Method. In this method, load flow is solved based on the non-linear load flow equations. There are two non-linear simultaneous equations for each bus. The real and reactive powers depend on the product of the sum of the voltage connected between two buses and the admittance between the buses, the Newton-Raphson method can converge relatively fast for systems with loops, multi-voltage levels and lots of power generators. What are standard voltage levels in Australia? AS 60038, 2000 is defined nominal system voltage as 230/400 V. This standard also defines connecting supply voltage range as below. Under normal supply conditions, it is recommended that the voltage at the point of supply should not differ from the normal voltage of the system by more than +10% -6% for the utilization voltage range. In addition to the voltage variations at the point of supply, voltage drop may occur within the consumer’s installations. For low voltage installations, this voltage drop is limited to 5%, in accordance with AS/NZS 3000, therefore, the utilization voltage range is +10% -11%. This utilization range should be taken into account by product committees. The tables below show the voltage levels can be used in projects performed in Australia.